A new, fierce year is upon us and we’re ready to create some of our best work to continue to serve you all the best looks! 2019 is the Lunar Year of the Pig, the year of getting lucky (if you know what we mean) and richer experiences that you’ll cherish for years to come. Vogue Australia celebrates their 60th birthday (girl, has she gotten better with age! ), along with the iconic queen of plastic couture, Barbie – we can’t wait to reveal what we have planned! So how are you getting ready for a stylish and successful 2019? We aren’t the first hair salon to tell you to go lighter for our warmer months, and we won’t be the last. However, we will be the first to tell you that Blonde is a lifestyle, and that like a life, there isn’t just one way to live it. 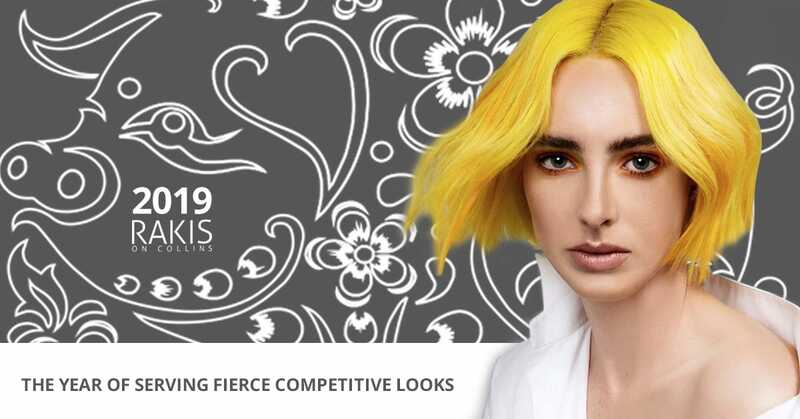 Our Style Director and Colourist Pasquale teamed up with our Creative Director Chris to talk all things Blonde and they’re seeing a Summer of warm tones, from beige browns to warm gold tones, the perfect highlight to brighten up your overall look. If you’re looking to totally flip your style from chic to effortlessly edgy than you should definitely consider grown out roots, with creamy blonde lengths and clean tips – a look that nails the au naturel balayage vibe, whilst keeping your style totally polished and unforced. With your colour being powered by L’Oréal Professional’s Smartbond technology, your hair will look and feel healthy and fierce, ready to take on the season. Summer is for spending time in the sun and not taking three hours to get ready for your day. To make sure you’re taking full advantage of Melbourne’s most beautiful and bustling season take a page out of our Stylist & Colourist Maddie’s little black book of banging hair do’s and don’t’s! Long hair can be severely overrated, especially in summer when heat and humidity can not only wreak havoc on your attempts to style your hair but, on your self-confidence. The “lob” never goes out of fashion for a reason! Chic, sharp, transitional and transformative, the beloved lob isn’t just a templated look, but a decision to better express your personal sense of style through the warmer months. This style looks great on pretty much everyone, tonged, scrunched, messy or straight. This look also gives you the perfect opportunity to give your hair a healthy start, chopping off the tired, broken ends to make way for a fresh, bold and confident you! As the Summer Sun pours, prolonging our days with warmth and life, Kèratase’s powerful Summer formulation Soliel appears back on our shelves to protect your hair from the harsh Australian Sun and the corrosive chlorine that unfortunately is inescapable if you frequent the Melbourne Public Pool scene – can someone please get us a tall glass of water 😉 ? Our Creative Director Danny can’t stop talking about the Urban Moisture range from Shu Uemura Art of Hair and for good reason – it’s a MIRACLE SUMMER SERUM! Not only does it detangle, providing jaw-dropping shine, but also protects you against UV, water and pollution. Where do you get these incredible products? On the Paris end of Collins St that’s where! We’re serving a summer you will never forget on the Paris end of Collins. Begin the year with a bang and get ready to get lucky year-round. Style, success and fierce fashion are on this year’s books, but are you on ours? Pop by for a glass of ice-cold bubbles and book your 2019 Summer glow up today. We can’t wait to share another big year with all of you. Paris is Calling: This Season’s “Master”Class in Style and the Perfect Blonde!